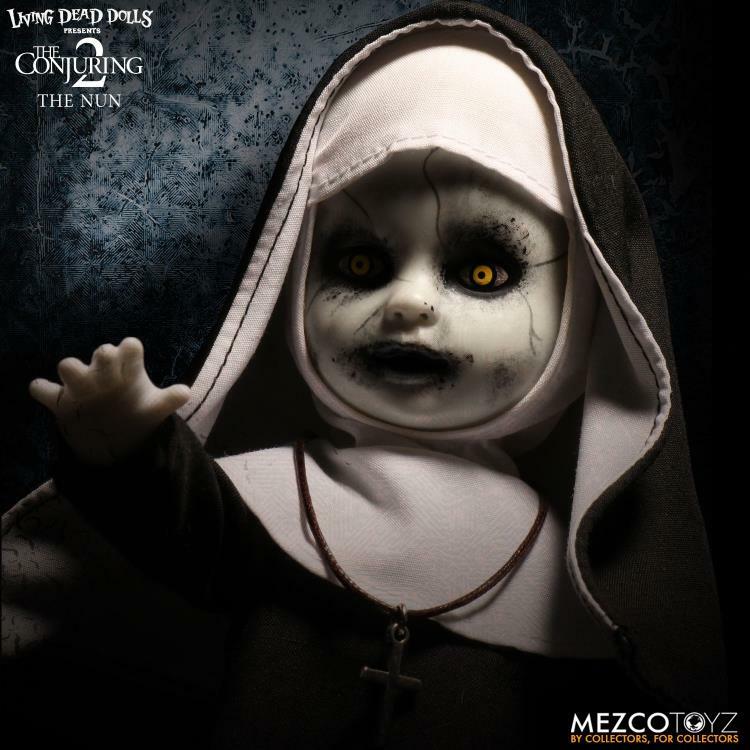 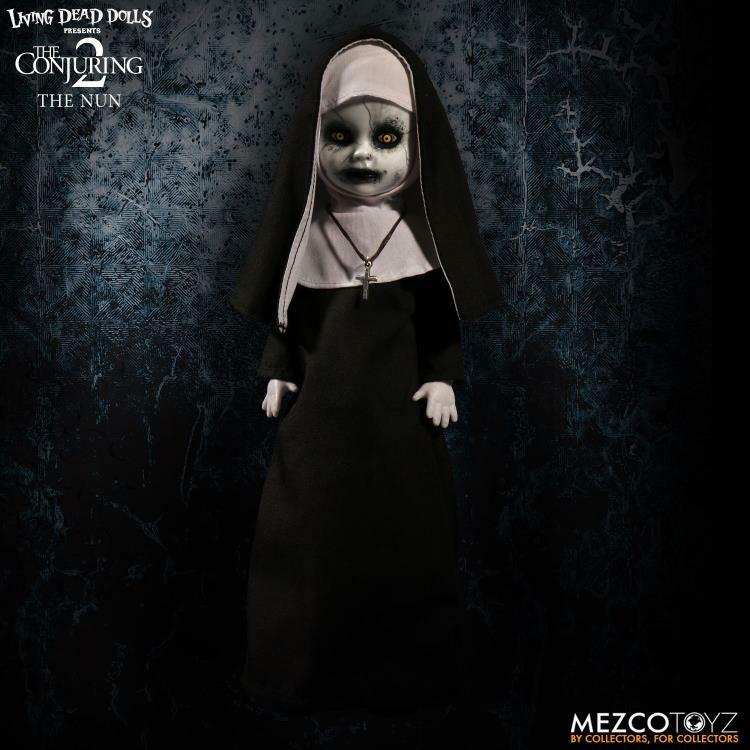 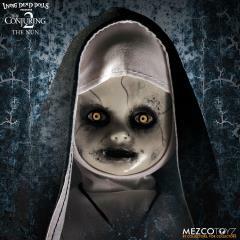 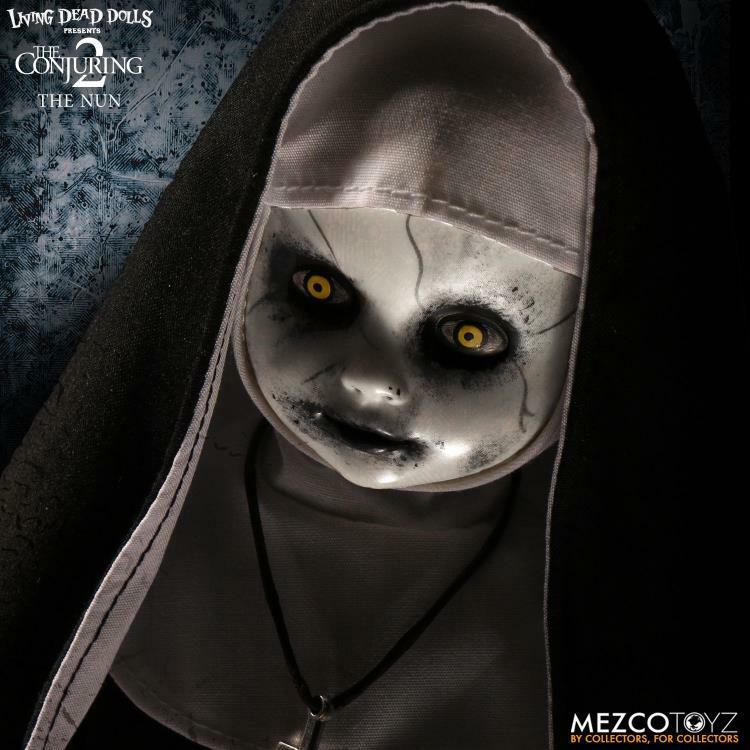 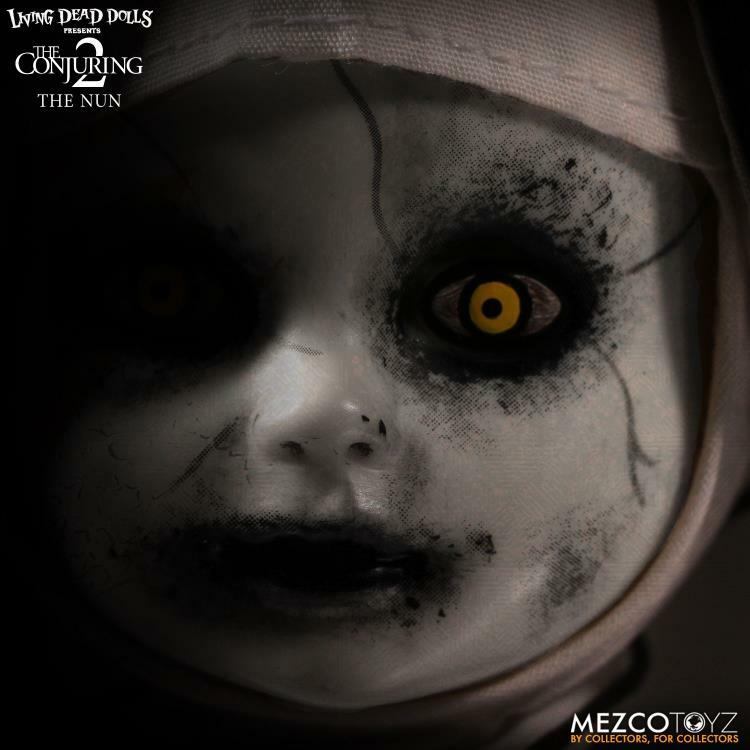 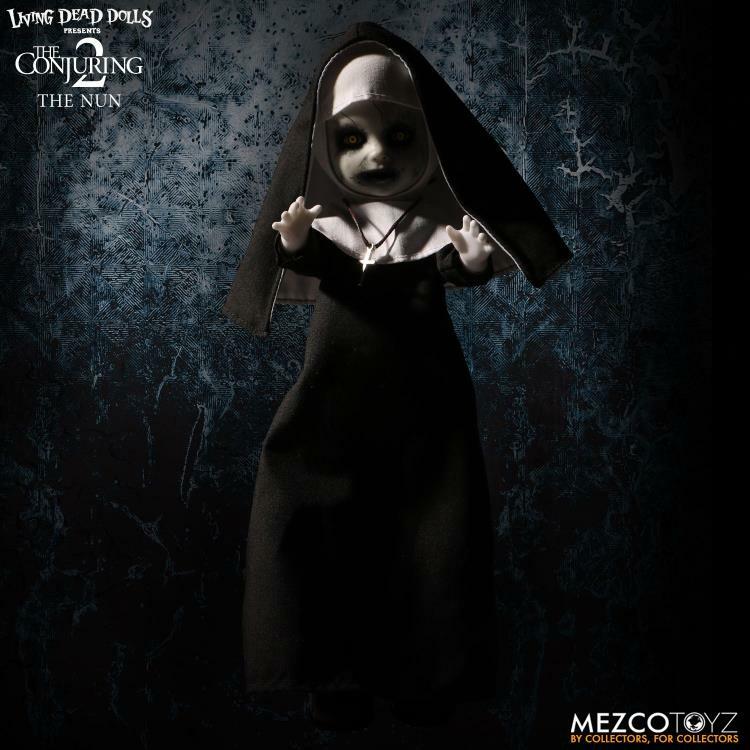 Now, the Living Dead Dolls features The Nun in such a frightening portrayal, even Valak would want to keep the lights on. Standing a full ten inches tall, the doll is dressed in her trademark nun’s habit with necklace and has five points of articulation. 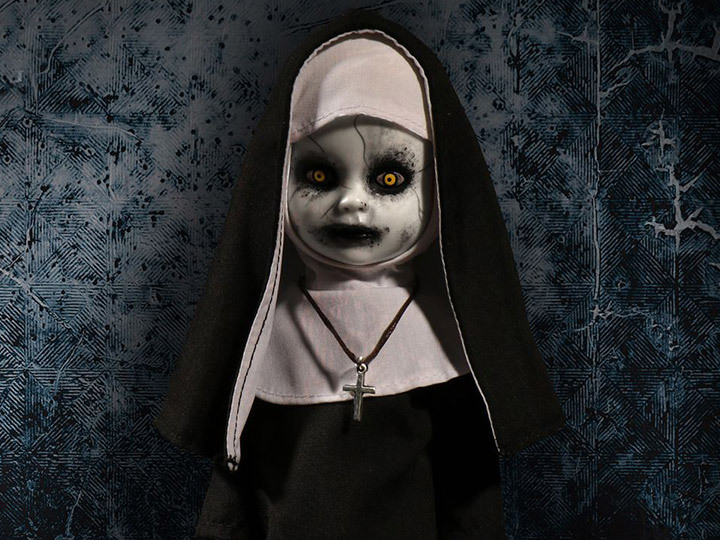 The 10" Valak doll comes packaged in a die-cut window box perfect for display. As you look into the box at her, she stares back…into your soul!